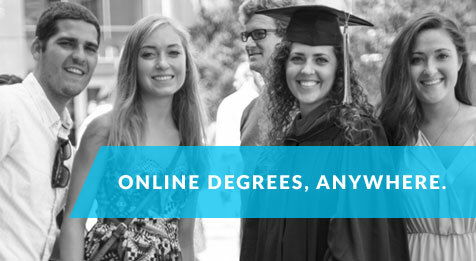 Our graduate-level certificate program is completely online and offers two tracks: (1) Educational Technology and (2) Design and Development. Each track is comprised of four classes as described below. The courses may be completed as part of a degree program in IDT or other program with your advisor's approval. The IDT Certificate in Educational Technology is designed for educators who want to integrate technology with learning in PK-12 schools and institutions of higher learning. This completely online program is comprised of four courses designed to help educators meaningfully integrate technology with learning. Some who have earned the EdTech Certificate have transformed their teaching to become models for technology integration, while others have leveraged the certificate to become technology integration specialists, technology facilitators, technology coaches, curriculum integration specialists, college instructors, and district directors of technology. The focus of these four courses is to develop the technology competencies needed for the development, utilization, and integration of technology with learning. The course rotation schedule is available before you even begin taking classes enabling you to make plans well in advance. The certificate planning sheet helps you and your advisor document your progress. A Grade of A or B must be earned in each class to earn the certificate. IDT 7061: Instructional Design and Educational Technology (3 hours) - Implementation of common classroom productivity tools to support teaching and learning; survey of Web and mobile apps that promote thinking and creativity; design and development of lesson plans that integrate technology and 21st century skills to promote learning. IDT 7062: Teaching, Learning, and Technology (3 hours) - Enhancing teaching and learning through the use of Web 2.0 tools and social media; promoting student learning through these technologies in combination with the Teaching for Understanding framework and Visible Thinking routines. Prerequisite: IDT 7061. IDT 7063: Models and Innovations of Educational Technology (3 hours) - Supporting learning through mobile devices; designing learning opportunities that use emerging educational technologies and instructional approaches; facilitating Making Thinking Visible with Technology; supporting teachers' self- directed professional development through professional learning networks. IDT 7064: Educational Technology and Instructional Development (3 hours) - Survey of emerging technologies used for developing multimedia; implementation of needs assessment, development of instruction and supporting multimedia to address the indicated instructional needs. Prerequisite: IDT 7063. The IDT Certificate in Design and Development prepares to you work as an instructional designer and developer in non-education contexts such as business, government, military, and health care. This four-course certificate has been carefully planned to prepare you to succeed in instructional design and development in these contexts. There are many varied opportunities for work as an instructional designer and developer. For example, here is our IDT job board with over 180 job descriptions in our field. And here are over 20 sites where you can find jobs in instructional design. With the growth of e-learning and online instruction, employment prospects in this field are very positive. The four courses described below have been planned and sequenced to lead you through a progression of skill development needed to be an effective instructional designer and developer. The course rotation schedule is planned and available so that you can plan when to take the courses. The certificate planning sheet helps you and your advisor document your progress. IDT 7060: Technology Tools for Learning (3 hours) - This course focuses on the design and development of various forms of media to support learning. Students will create products to solve instructional problems through the use of of various technologies. IDT 7070: Instructional Design Process I (3 hours) - Applies the instructional design process to conduct a needs assessment that supports the creation of self-paced instructional units addressing performance and learning problems for education, business, health care, and related learning environments. IDT 7080: Instructional Design Process II (3 hours) - Prepares students to understand and apply instructional design principles to evaluate instructional materials that are designed to solve performance and learning problems. Applies the instructional design process to create a self-paced instructional unit based on documentation produced in IDT 7070. Prerequisite: IDT 7070. IDT 7090: Developing Interactive Learning Environments I (3 hours) - This course is about developing interactive computer-based and online learning environments. Students will follow instructional design models and principles to develop learning environments that are engaging, efficient, and effective. Students will learn about current e-learning software tools and processes. A student may repeat this course for a maximum of 6 credit hours (while learning advanced content). Prerequisite: IDT 7070 and 7080. 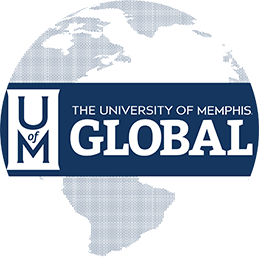 Students enrolled in completely online programs at the University of Memphis do not pay out-of-state tuition. As this certificate is completely online, IDT students do not pay out-of-state tuition. Visit the Tuition Estimator to begin planning your budget for graduate studies (Select eRate under Resident Status). You can investigate opportunities for scholarships and financial aid. Graduate assistantships are occasionally available for outstanding students. Students interested in receiving the graduate-level Certificate in Instructional Design and Technology must be admitted to this graduate certificate program. Note: If you are already enrolled in any degree program, you do not need to complete the application process. Instead you will need to submit a Change of Status Application.